My 230 pound husband wore through these tennis balls in less than a week. He walks outside and goes to the stores, so these got used on concrete. Since I have two more tennis balls, I will heed the review by Dave above, and try to use some cardboard inside the ball for reinforcement. His walker has wheels in the front and I put the tennis balls in the back. used 2 of the feet to cover the no wheeled legs of my walker - sure brightens up the look of a rather nondescript walker! bit stubborn to get them on, but persistence pays off. these just slide across rough surfaces so easily. 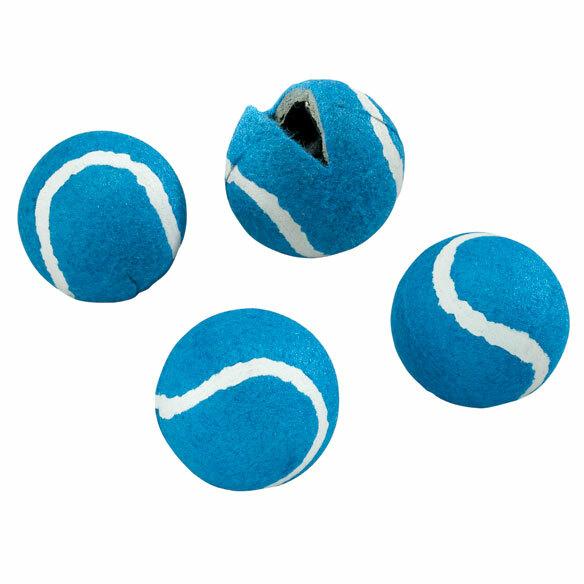 Use shipping material from other deliveries to keep metal legs of walker from cutting through the walker tennis balls. Just stuff into open of ball and attach. Best material is a soft cardboard used to keep items being delivered safe. My Mom has a walker and frequently needs these tennis balls. I thought for a set of 4 they were a good value. Need to make easier to move. TO MAKE MOVING EASY AND SMOOTH. Because it does not mark floors. I NEED THEM FOR MY WALKER. To use on my walker. Needed them to have my walker move more freely. A good purchase price; had been looking to replace the ones on spouse's walker. So they don't mark of the floor. used them before, work great! I am hoping it will do what you describe. will use these on mom's walker not having to cut the holes will be a great help. 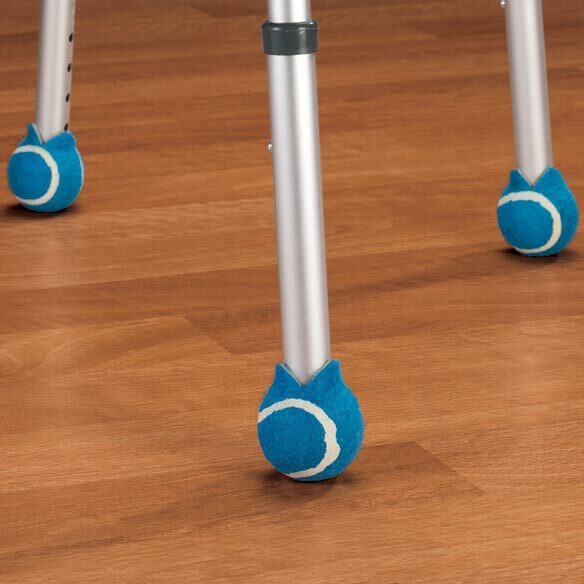 I use a walker most of the time and I love the tennis balls because they glide so much better then most walker tips. Because the ones I have on my walker now have worn thru and are damaging my carpet. So they need replacing! Am using walker longer than expected and getting tired of "squeeking" when I cross certain floors. So my walker wouldn't scratch the floor. We wanted something that looks good. BEST ANSWER: by cutting an X on the ball somewhere--the size of the cut would depend on the walker leg size in would fit over. Usually it takes a very small cut--assume the hole will gradually enlarge with use. Thank you for your question. 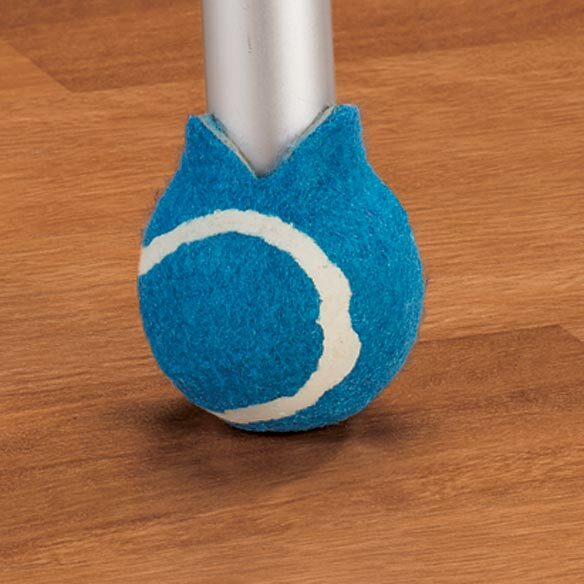 The tennis ball glides are precut to fit standard walkers. We hope this information will be of help to you. do you install on metal leg removing base that is on it? BEST ANSWER: I left the base on. Installing over to is easy and the are absolutely the best on carpet and smooth flooring. We used them outside as well. Great product. Never used them ,but should go on just like sliders.